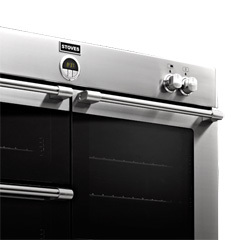 Stoves is part of the only major kitchen appliance company still committed to manufacturing range cookers, built in ovens and hobs and freestanding cookers in the UK. 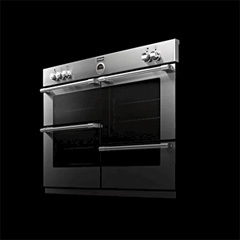 We know exactly what the British cook expects from our appliances and tailor our products accordingly. 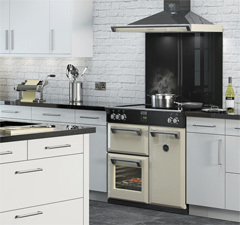 When it comes to style we really do go all out, whether it's the sleek aesthetic of our new built-in collection or the impressive presence of our range cookers, jaws literally drop open in awe of our stunning designs. But we understand that looks aren't everything. That's why all of our products are built using the finest raw materials and are hand crafted by small, dedicated teams who take pride in the attention to detail they invest in every single product. So whatever style, fuel preference or size of appliance you're looking for, you can be sure we have one that makes a statement about you. As part of our ongoing commitment to the Stoves customer, in addition to a one year labour warranty, all products come with a five year parts guarantee. There aren't many manufacturers with the same confidence as we have in our products. We've been making a statement about cooking for the past 90 years and the Stoves brand has become a symbol of superiority in the kitchen. But we understand that there's no time to rest on our laurels. 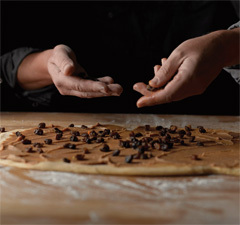 Every day we are inspired to continue to develop new and innovative products for our customers, to push the boundaries of cooking appliance technology, and to set the bar for British manufacturing standards.